Tropical Beachfront Elegance awaits the Discerning Traveler Accustomed to the Best . 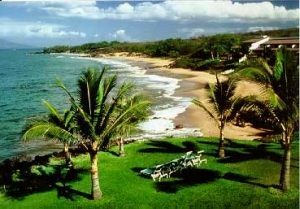 . . from the Privacy of your own Maui Beachfront Vacation Condo Rental . . . at the Sensational Makena Resort. You’ll Savor the Remarkable Beachfront Setting on Maui ‘s Exclusive South Shore as the Sound of the Surf Beckons your Call Right Outside Your Door . . . Just Steps from the Sand! The Mile-Long Saphire-Blue Beach is simply ideal for long walks, exploring Hidden Coves, Snorkeling, Swimming & Sunning while basking in Tropical Luxury. The Oceanfront Views are Incredible, the Surroundings are World-Class . . . in a Truly Inspiring Setting in a Class of its’ own. 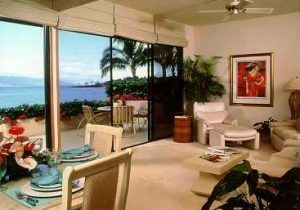 Private & Elegant, You’ll savor the Tropical Luxury Lifestyle from the Privacy of your Elegantly Furnished 1 to 3-Bedroom Maui Vacation Condo Rental . . . with Designer-Decorated Appointments that feature Wet-Bars, Whirlpool Baths, Vaulted Ceilings, Track Lighting & Gourmet Kitchens. Enjoy another Incredible Sunset from your Double-Sized Tiled Lanai while sipping your Favorite Tropical Drink, as the Gentle Trade winds Caress your Senses. For Your Added Vacation Pleasure, your Distinguished Oceanfront Resort Destination Masterpiece offers two Pools, 4 Championship Lighted Tennis Courts, Gas BBQ’s and adjacent Championship Golf on Emerald-Green Fairways . . . In a Lush Tropical Setting of Manicured Grounds & Gardens, Swaying Coco Palms and Meandering Walkways. World-Class shops and Restaurants are just moments away. Bask in the Comfort of Tropical Luxury for the Upscale Traveler . . . In a Class of It’s own . 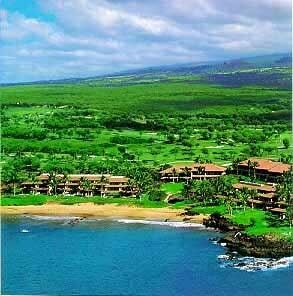 . . at the Incomparable Makena Resort. 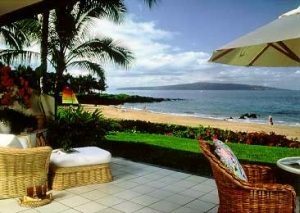 The Sensational Makena Resort On Maui’s Exclusive South Shore offers all Oceanfront Condominium Suites. Choose from Elegantly Appointed 1-Bedroom Oceanfront Condo Rentals that sleep up to 4 Guests; Spacious 2-Bedroom/2-Bath Maui Vacation Condos that accomodate up to 6 people; or Expansive 3-Bedroom Luxurious Condominium Residences that sleeps, up to 8. All Linens & Towels Provided. Breathtaking Oceanfront Views . . .